Growing up in a family where her mom swam at the US Olympic Trials and her dad ran in the US Olympic Trials, Stephanie was immersed in sports ranging from swimming, to soccer, to horseback riding, to diving, at an early age. After watching her older brother and sister create successful running careers for themselves, she decided to join the cross country team as a freshman in high school. 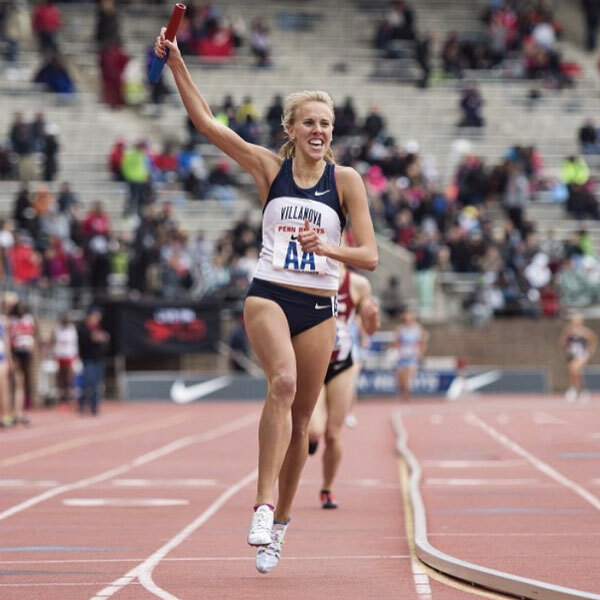 Stephanie attended Villanova University, where she became a nationally ranked NCAA athlete, earned multiple NCAA DI All-American Honors, and represented the USA at the 2015 World University Games in South Korea. The East Coast native graduated first in her class, holds a degree in Marketing and is currently training with an elite professional track team for the 2016 Olympic Trails. Chasing an Olympic dream is not the typical post-graduation plan for a senior of the Villanova School of Business. Then again, Stephanie has never been the average student. Seeking a career that would allow her the opportunity to balance her Olympic ambitions and expand her professional experience, Stephanie joined the SMACK! Media team early in 2016. She brings a passion and strong knowledge of athletics, the ability to produce creative solutions to meet marketing and PR needs, influencer program savviness and the determination to shatter expectations. Outside of running and the world of Marketing and PR, you can find Stephanie binge watching any Bravo reality TV series, chasing down an everything bagel egg sandwich with a coke slurpee, or laughing at her own jokes.